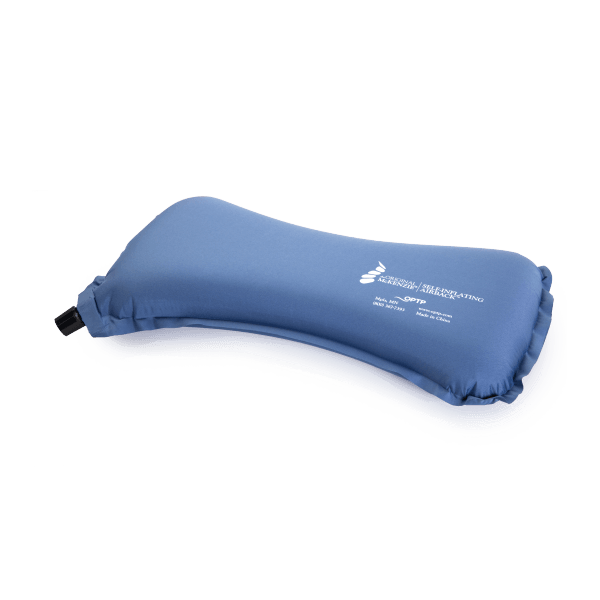 Easily achieve the desired comfort level and ease back pain on-the-go with this self-inflating, portable lumbar support. 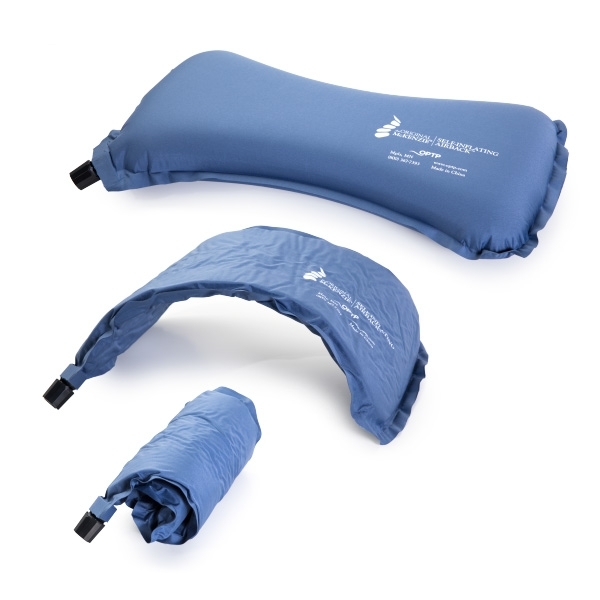 The Self-Inflating AirBack™ can be adjusted to any type of seat, whether in the car, on a plane, at a ball game, anywhere you need added lumbar support. Simply twist the valve to inflate to the desired level in a matter of seconds. To deflate, re-open the valve, roll the AirBack tightly and close the valve. Roll measures 16"L x 2"D x 8"H (at tallest point) when fully inflated. When deflated and tightly rolled it measures 8" L x 3" dia. I got my inflatable pillow about 2 years ago and now my husband wants one too. Great for travel and always great while sitting at home, watching tv or in the car. I Purchased this over 20 years ago to keep in car for extended commute. Easy to take on plane to. Adjustable to make support just right. Best of all. 20 something years later.. It finally sprung a leak. I can&apos;t believe it&apos;s been so supportive on a daily basis, for so long. Thanks for great product. 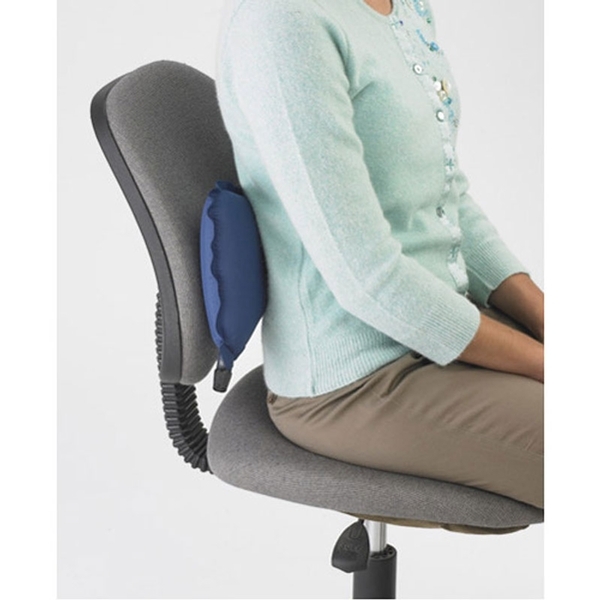 I have tried many inflatable lumbar supports, which I find more comfortable than those that are padded. This OPTP McKenzie Support is the only one that has held up over time. I&apos;ve had it over a year. The others have sprung a leak, some within 1-2 days after I got them. It can be quite firm when fully inflated, but it is easy to let just a bit of air out and make it softer. I like the shape, where the wider wings can support the sides of your back.